We have been providing quality care and education to children/families in the Washington Metropolitan Area for more than 40 years. It is our goal to provide extraordinary care and a well planned educational program meeting the needs of each child enrolled. St. Timothy's Episcopal CDC is a place for fun and learning in a safe, nurturing environment. We have an effective and flexible program to allow for maximum development cognitively, physically, socially and emotionally. 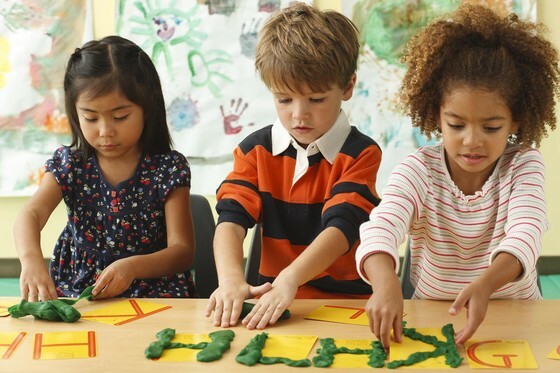 The mission of St. Timothy's Episcopal Child Development Center is to provide a loving, nurturing, supportive, safe, and educationally stimulating environment for children 3 months to 12 years old. We work in partnership with families to provide a high quality program that meets the developmental needs of each child. It is also our mission for each child to know that they are loved by God. "Education is the most powerful weapon which you can use to change the world." - Nelson Mandela "